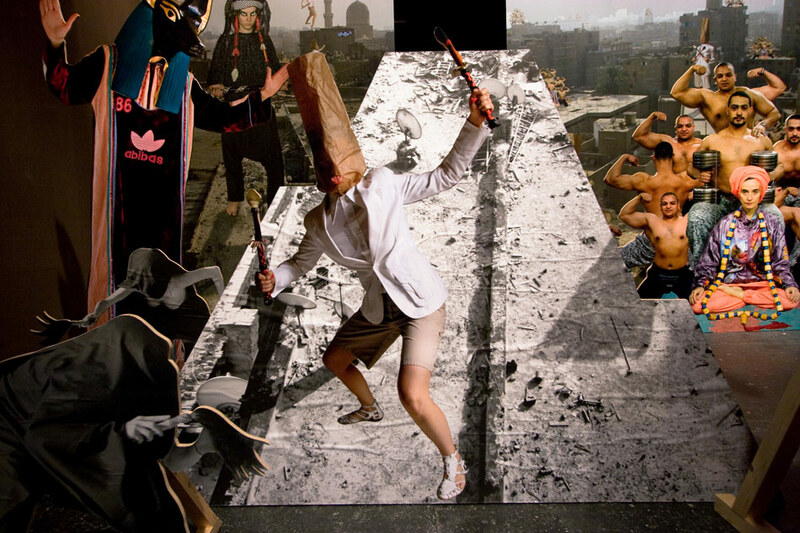 Egyptomaniacs is based on photos and documentation of performative interventions during a 2 months residency at Townhouse, Cairo/Egypt in 2006. 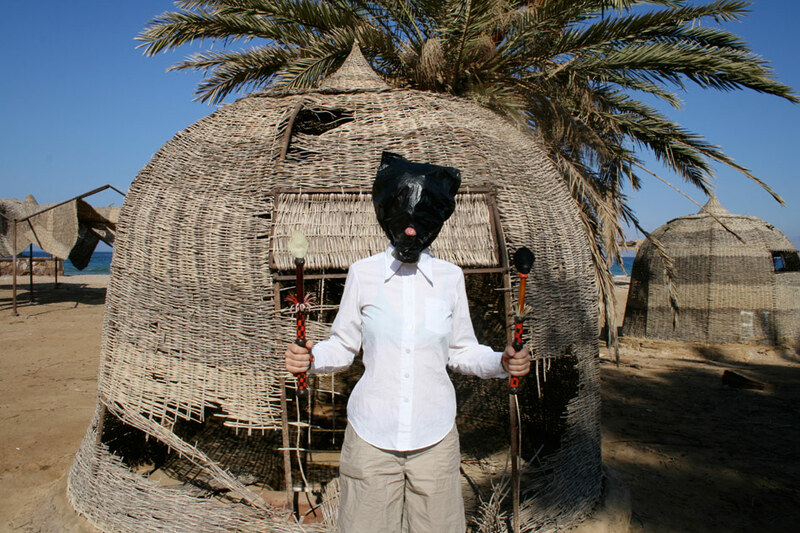 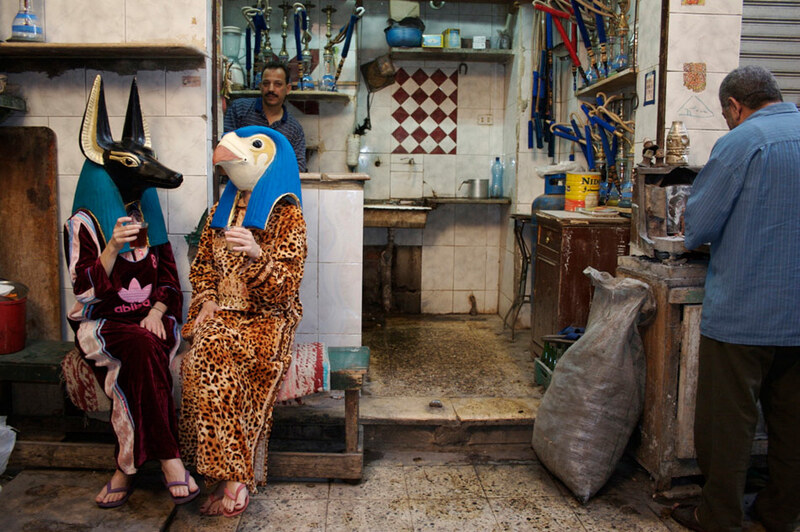 The work is dealing with the Western clichés of Egypt in the times of neo-colonialism, mass tourism and terror. 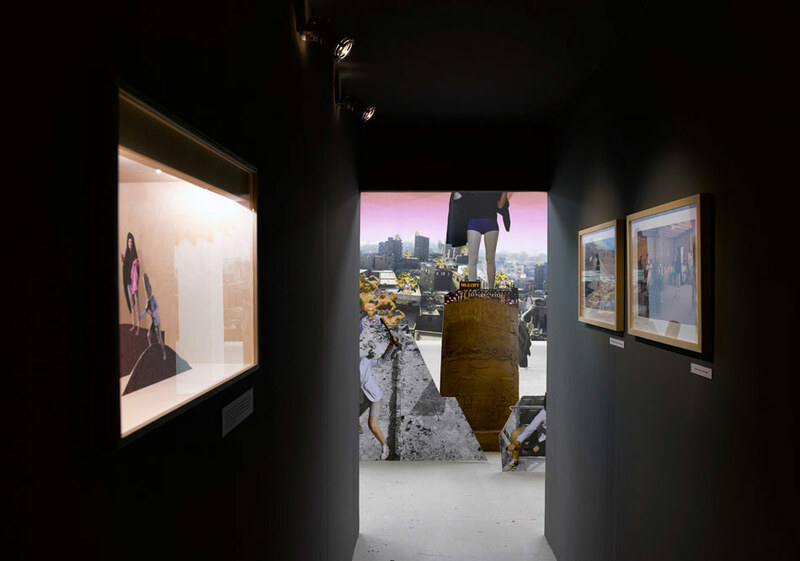 As a total installation the work consists of two parts: A dimly lit corridor that features text panels, photographs and diorama boxes, reminiscent of natural history museums. 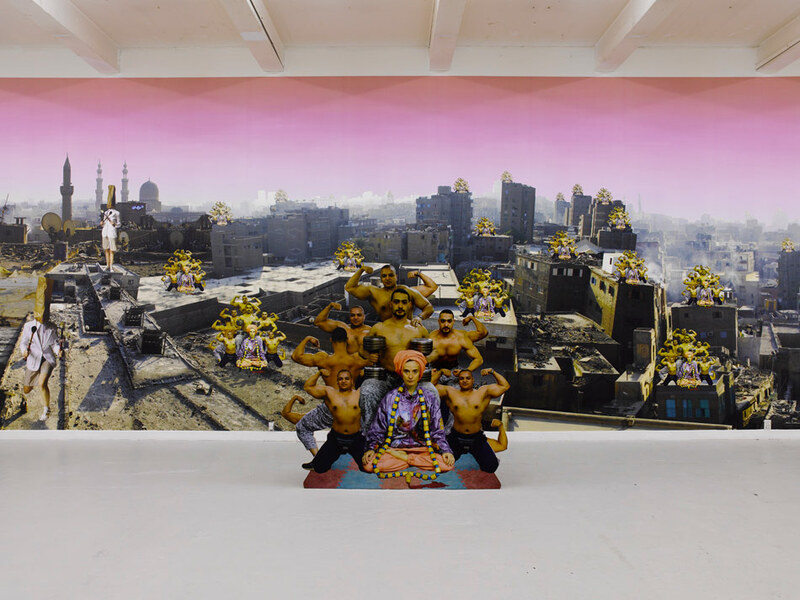 This is where J&K’s narrative begins, conjuring up a pseudo-documentary and fictional futuristic universe, where former colonials are trapped in tourist resorts and prophets meet witches from Inner African and hip-hoppers from Cairo. 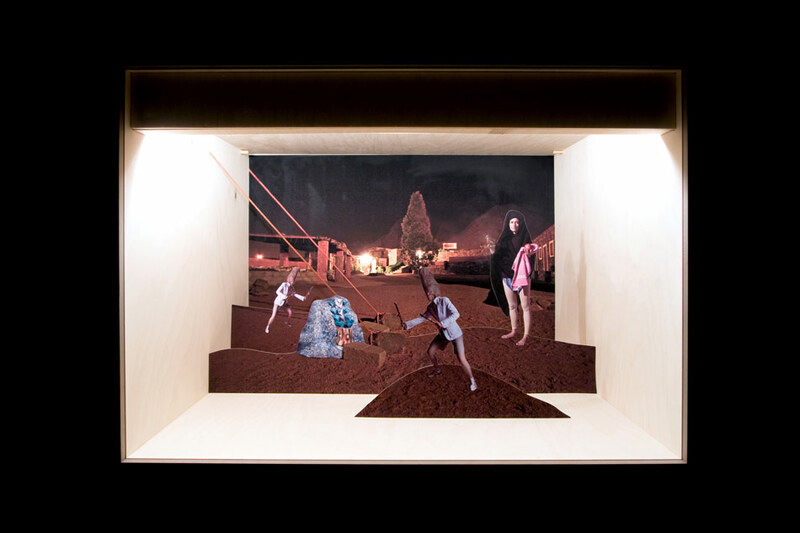 At the end of the corridor a somewhat startling scenario awaits us. 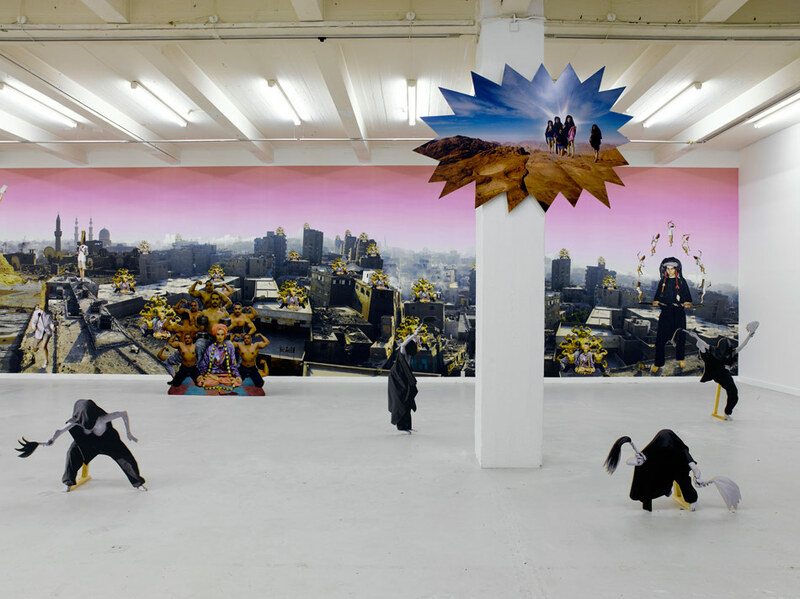 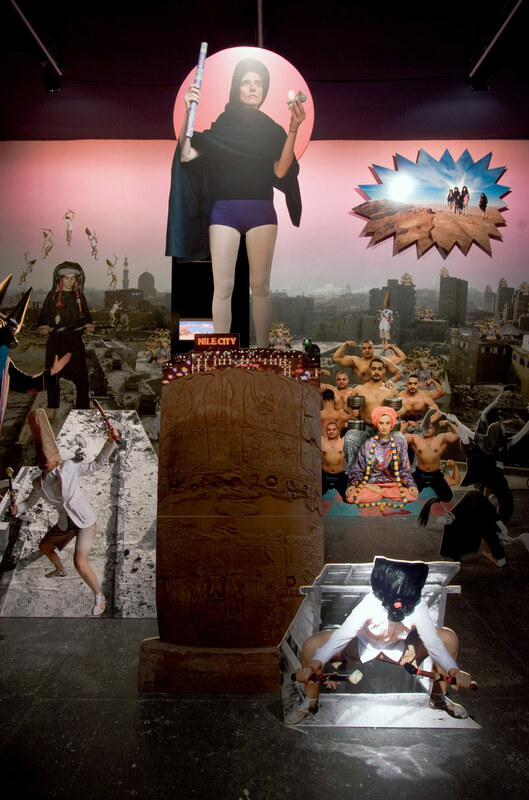 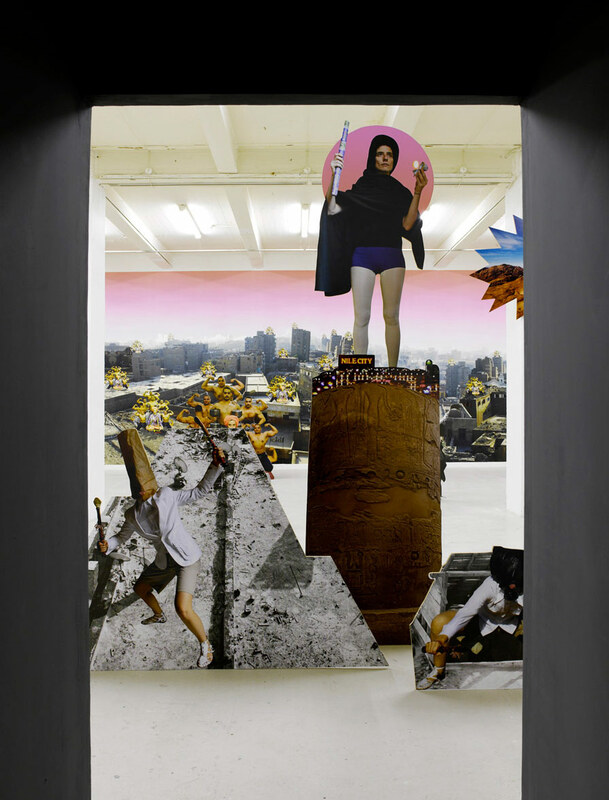 Here one step into a life size three-dimensional collage and thus the spectators become part of J&K’s narrative, set in a mythical and post-apocalyptic landscape. 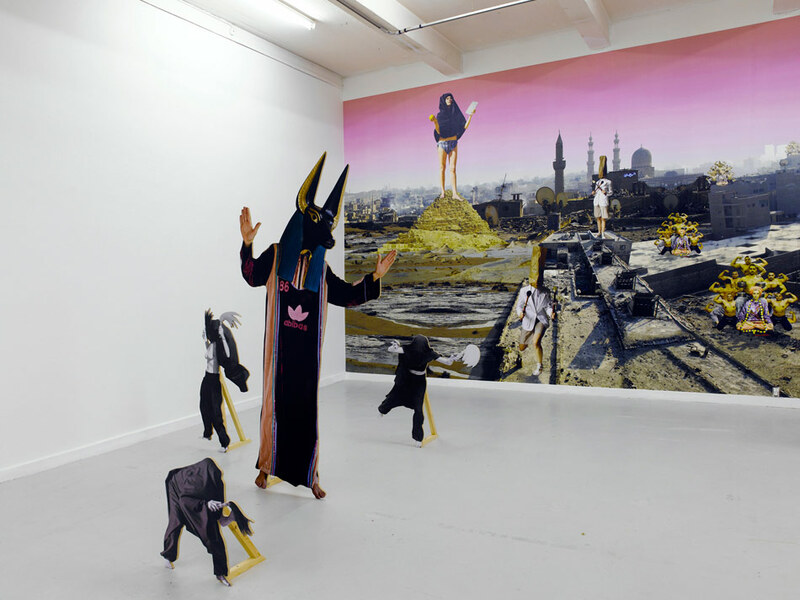 Besides its first presentation at Overgaden, Copenhagen, Egyptomaniacs has been shown at Sparwasser HQ, Berlin, SMART, Amsterdam, Kunstraum Kreuzberg, Berlin. 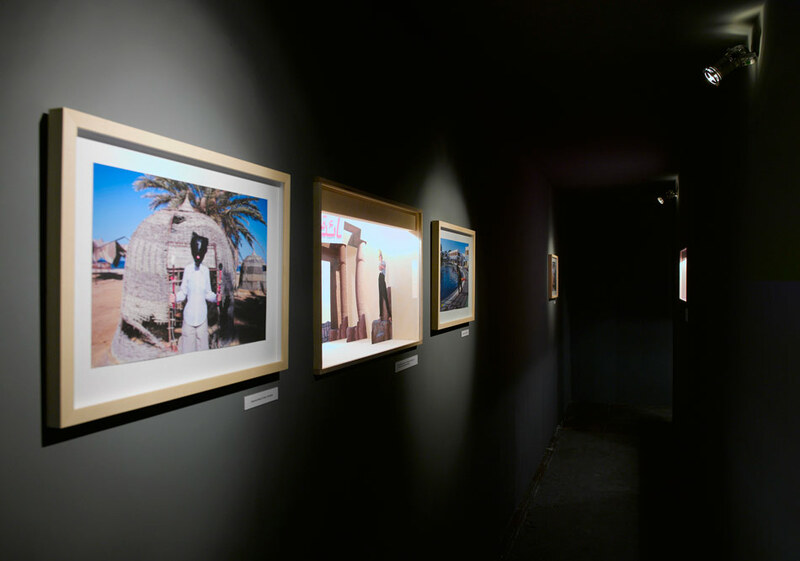 The image Horus and Anubis in Islamic Cairo has been shown in various locations around the world and is part of the major touring exhibition Tea with Nefertiti (MATHAF, Doha, Institute du Monde Arab, Paris, IVAM, Valencia). 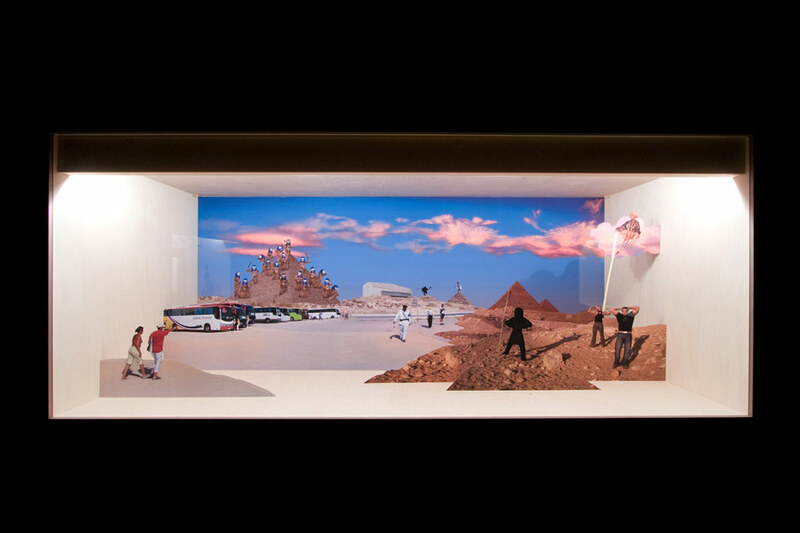 The work will be further developed for a commission for a permanent artwork for the Goethe Institute in Cairo, to be realized in 2014.